The Order of the Knights Templar was a military and religious brotherhood that dominated medieval Europe for nearly two hundred years until it was suppressed in the early 1300s. It truly was a colossus of its age, the first uniformed standing army since the days of the Roman empire and, off the battlefield, the first truly multinational organisation. Great landowners, industrialists and traders, the Knights also introduced banking — the linchpin of the modern world — to Europe. In a dazzlingly swift rise from the early twelfth century, they amassed huge wealth and exerted commensurate power, their leaders walking with kings and princes and enjoying the favour of popes. In less than two hundred years, they were gone. The warrior monks disappeared from history into myth, their true nature forgotten and woven into fantasy. Today, though, there is a renewed interest in the ancient Order. New research has revealed the extent of its influence and thrown light on its last days. Modern authors have been inspired by the Knights, who have resurfaced in fiction, academic history and contemporary mythology. And the material traces they left behind can still be seen — from these much of their story can be read. 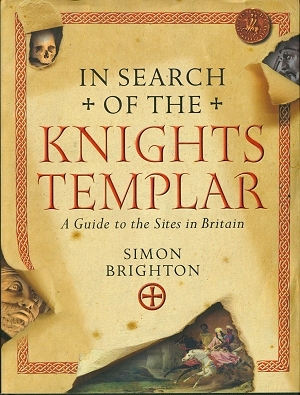 Simon Brighton's lifelong interest in the Templars gives him a unique perspective — over many years he has extensively researched and repeatedly visited the many sites in Britain, often uncovering Templar traces that had been overlooked. All along he has kept a meticulous photographic record, from the grandest tomb to the tiniest piece of cryptic graffiti. With his intimate knowledge Simon Brighton gives a clear, visitor-friendly guide to each site, evoking the life and death of that most enigmatic body of men — the Knights Templar. 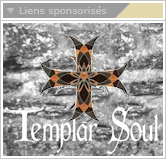 SIMON BRIGHTON was born in London but brought up in Lincolnshire, in the shadow of Temple Bruer, one of the most important Templar sites in the country. He became fascinated by the Knights at an early age and has pursued that fascination ever since. Simon has meticulously researched and documented each of the key British sites and his photographs were included in the illustrated edition of The Da Vinci Code.